St. Albans - Sue H. Tessier, a lifelong resident and beloved piano teacher passed away on Wednesday, June 14th, 2017, at the Franklin County Rehab Center with her family and friends at her side. Sue was born in St. Albans on June 22th, 1942, the daughter of the late Richard H. Hersey, Sr. and Kathleen M. (Fadden) Hersey, she was 74 years old. 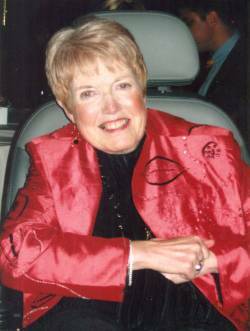 Sue was a 1960 graduate of Bellows Free Academy and then graduated in 1962 from Champlain College earning her Associate's Degree as a Paralegal. For many years, she taught piano lessons to countless numbers of children and adults. She was a lifelong member of St. Paul's United Methodist Church, where she served as the choir director and organist. Sue served on the St. Albans City School Board, was a member of the Kerb's Memorial Hospital and Northwestern Medical Centers Auxiliary's, a member of the Champlain Country Club, was a longtime member of Cardiac Capers, coordinated annual MS walks and helped found a Multiple Sclerosis support group for Franklin County. She is survived by her daughter, Katy Collin and her husband, Jonathon, of St. Albans, Ed Tessier and his wife, Carrie, of Nashville, Tennessee, as well as her grandchildren, Adelyne Sue, Sarah Elizabeth and Henry Edward. Sue is also survived by her brother, Richard Hersey, Jr. and his wife, Sandy, of Swanton and sister, Betsey Szatkowski and her husband, Eugene, of South Burlington and several nieces and nephews. A memorial service will be held on Monday, June 19th, 2017, at 11:00 A.M. at St. Paul's United Methodist Church, 11 Church Street, St. Albans. Sue's family will receive friends immediately following the service in the Fellowship Hall. The interment will take place at a future date at the family lot in Hyde Cemetery in North Hero. Those planning an expression of sympathy are asked to consider the National Multiple Sclerosis Society, 75 Talcott Road, Suite 40, Williston, Vermont 05495 or Franklin County Animal Rescue, 30 Sunset Meadow, St. Albans, Vermont 05478. Assisting Sue's family is the Heald Funeral Home where written expressions of sympathy or sharing of memories are welcome at her on-line guest book at www.healdfuneralhome.com.